The Lyttelton Rail Tunnel is the longest rail tunnel in New Zealand (2.7km) and was the first tunnel in the world to be hacked through hard volcanic rock. Prior to the tunnel, the bridal path was a zigzag road over the Port Hills and was the only land route, and travelling between Christchurch and Lyttelton by sea was dangerous. The Sumner Bar was shallow and treacherous with many a ship wrecked on it as a result. On the 9th December 1867, 400 delighted passengers clambered excitedly into the 4 carriages that made up the first train to carry the public through the Port Hills in what was the greatest civil engineering feat up to that time in the young colony. The train ride took only half an hour, with just six and a half minutes actually in the tunnel. It was a staggering improvement on the hard slog previously required by the citizens of Christchurch to reach their town’s harbour at Lyttelton. Like any major earth moving undertaking, it was achieved with more than its fair share of problems. In 1860, a team of 13 miners had begun to cut into the hill from either end but soon gave up due to the enormity of the job and the amount of water they disturbed in their attempts. The next problem was to actually locate an engineering firm with the technology and expertise to carry out the task. A number of Australian companies considered the project but George Holmes of Melbourne was the only company who felt confident enough to successfully hack through the hard rock. With better equipment than the miners had available to them, George Holmes hired a gang of tough men who began work in 1861 and finally broke through the hill to reveal the sparkling waters of Lyttelton Harbour on 28th May 1867. 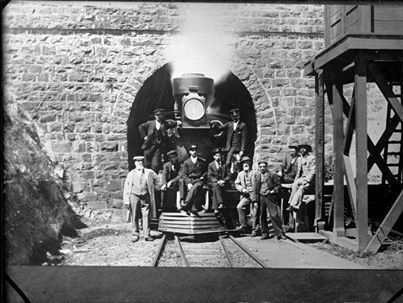 In November that year, an experimental train puffed cautiously through the tunnel and only three weeks later the first passengers were carried on the same track. Although the tunnel was now open to passenger traffic, work on the tracks continued until mid 1868 and it would be a further 4 years before the tunnel lining was completed. The extremely difficult job cost 200.000 pounds, an almost crippling sum for a Provincial Government administering to a population of only 5.000. It was considered by most of the settlers to be a necessary investment. The future growth of their new settlement, they believed, hinged on a reliable link to a deep sea port. The people of Christchurch embraced their new facility with understandable enthusiasm. On Anniversary Day, 16 December, only a week after the first passenger train passed through the tunnel, a third of the city’s population, made the rapid trip to Lyttelton. From there, they were transported by a flotilla of ferries to what had previously been almost inaccessible beaches and bays around the sprawling harbour. After the tunnel opened, the sleepy little settlement of Lyttelton was changed forever. 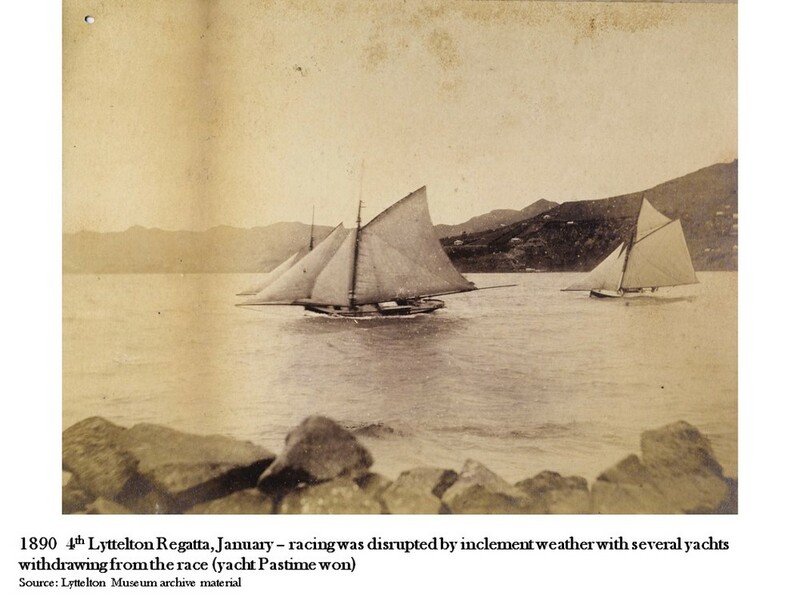 3000 passengers celebrated New Years Day 1868 by making the trip through the Port Hills to watch a boat regatta. Many of the trains carried more than their maximum load, but there were few complaints. With a constant succession of trains chugging through the tunnel, the crowds were delivered in time to see the races on the harbour. The day was voted an unqualified success by both the passengers and the railway company. Over the years that followed, many more activities were arranged in and around Lyttelton to satisfy the new hunger Christchurch citizens developed for their new harbour side suburb. The huge investment in the tunnel quickly proved to be worth every penny. Land was reclaimed from the sea for a railway station at Lyttelton. The original platform proved too short for the volume of traffic and it was quickly extended. New wharf facilities were introduced, and sailing around the harbour also flourished. Christchurch developed into a major centre while Lyttelton became a prominent port, the growth of the two helped in no small measure by the rail tunnel forged through the Port Hills. Steam locomotives produced annoying smoke but this problem was overcome with the introduction of electric trains in February 1929. Electrification lasted until 1970 when diesel trains were introduced. Sadly, passenger trains no longer run to Lyttelton. Today, only goods trains use the tunnel, hauling produce in containers to the harbour terminal. It would be almost a century later, but only one hundred metres from the rail tunnel, before a second hole was bored through the hard rock. In February 1964 the interior of the Port Hills was finally opened to road traffic. Both the rail and road tunnels survived the violent earthquakes that partly destroyed Christchurch and Lyttelton in 2011. No doubt, the tunnels are of great use as both Christchurch and Lyttelton still struggle to recover from the devastation they suffered 7 years ago.